Arrowhead Lawn Irrigation Company has been providing commercial and residential lawn irrigation systems since 1999. 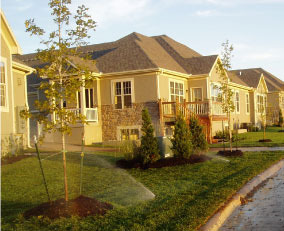 Our experienced staff will design your sprinkler system to meet your expectations. They do a thorough analysis of your lawn and landscape as well as all necessary codes and requirements. Best yet, we will install your system with little disruption to your lawn and landscaped beds using tools and equipment that will save you time and money. A professionally designed and installed irrigation system adds value to your home. Please call us today for a free estimate, 913.856.5025.